In the future, when autopilot takes control, the steering wheel will disappear into the instrument panel and the vehicle user can decide how he or she wants to enjoy the ride. The vehicle interior is flexible: seats, screens and consoles slide and adapt to the desired use, e.g. for work or relaxation. Sensors recognize occupancy in the interior at all times to ensure the necessary level of safety in the interaction of mechanical and electronic systems. These sensors will also make it possible for side doors to open and close automatically and if other vehicles or obstacles are in the way, the movement ends before the door comes into contact with any object. 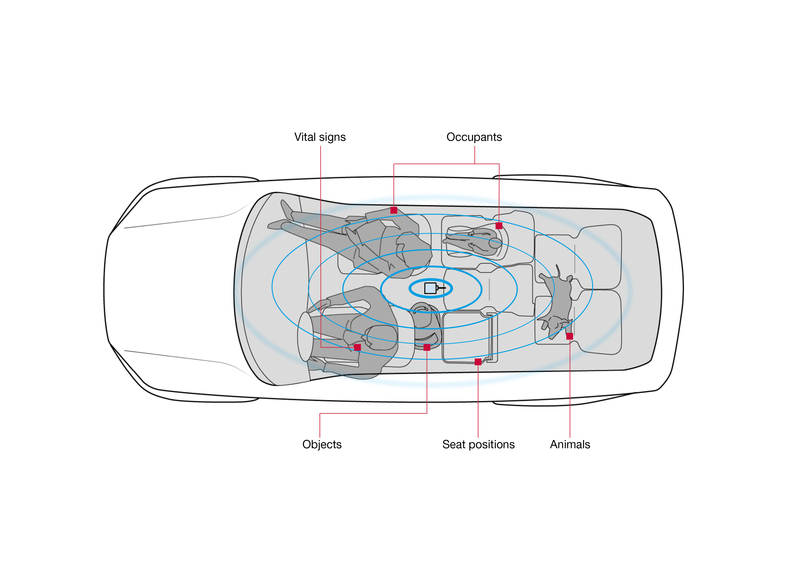 Automotive supplier Brose is now working together with sensor specialist Vayyar on the realization of this vision by integrating innovative sensor systems in power adjustment systems and drives in interior and exterior applications. Electronics play a key role in this endeavor. Brose is a world market leader in mechatronic systems for doors and liftgates as well as a leading supplier of power seat structures. The company also has more than 30 years of experience in the field of electronics where it has around 600 employees and supplies over 75 million electronic systems and sensors annually. Brose door systems, equipped with Vayyar’s sensors, enable a full protection of the door without compromising design and at a minimal footprint in a single location. Accurate interior monitoring in 3D adds functions such as anti-theft protection, gesture control and recognition of vital signs such as breathing rates. Additionally, the precise sensing of occupancy and the position of seats makes it possible to eliminate previously required components. Customers value this approach to doors and interior monitoring: there have been several development requests and the companies have already equipped the first test vehicles with prototypes. The precise interior monitoring of the sensor systems from Brose and Vayyar provides reliable collision protection for automatic adjustment functions in the cabin and other applications such as airbag control or theft protection.